Rich fall colors of rust, yellow, brown, purple, burgundy, mustard... too many gorgeous colors to describe! 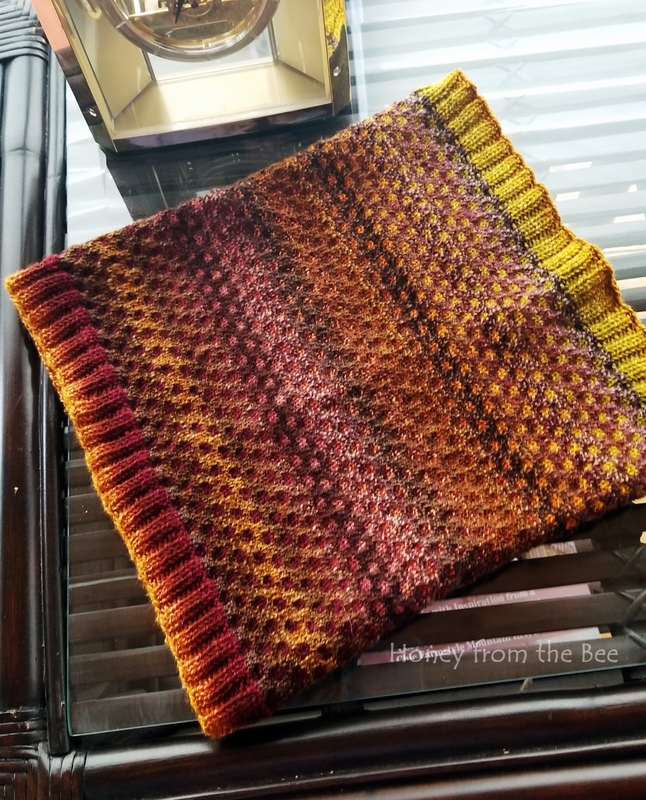 This cowl would be a wonderful gift for the man in your life, but the rich colors would please the women in your life as well. "Two-woman operation established in 2004. Rachel and Kate produce luxurious yarns, hand-dyed and spun into small batches of perfection. This yarn is the product of a desire to merge the beauty and texture of a handspun yarn with a more efficiently produced millspun yarn. Spincycle Yarns collaborated with a nearby woman-owned and -operated fiber mill on Washington’s coast. This collaboration ensures that our yarn maintains the color artistry of the original handspun product. 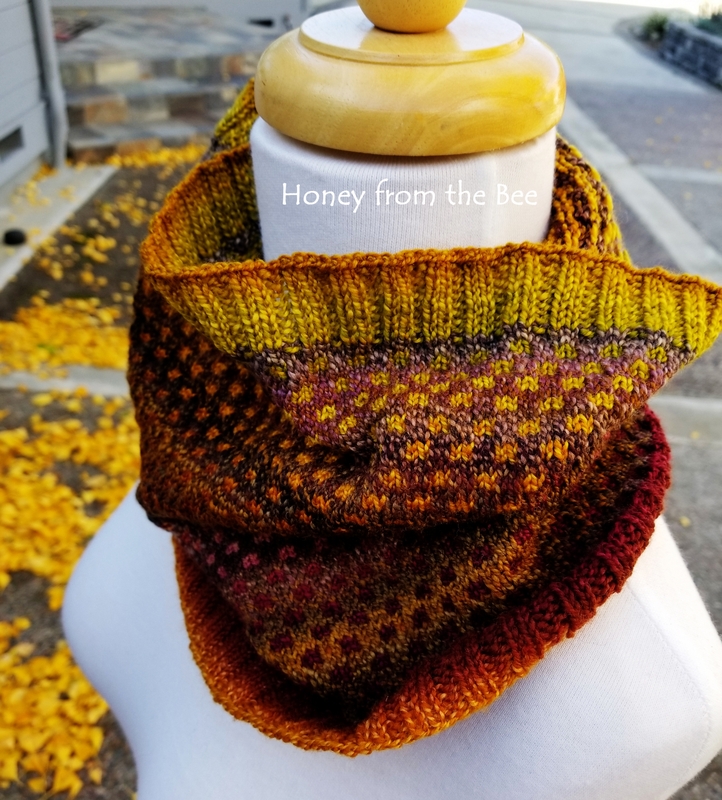 Because the fiber is dyed before it is spun, colors meet and part ways in stunning, unique combinations; the overall effect is of a balanced, seamless whole." If soiled, handwash in cold water and lay flat to dry.